The Tatra Atlantis (Tatrzańska Atlantyda in Polish) is more than a collection of mountain landscapes captured on photographs decades ago. Art historian and guide Piotr Mazik blazes completely new trails, revealing special views and points on the map which were once significant and have since perished. And it turns out that one can easily lose ones way, because the past of the Tatra mountain range resembles a lost land itself. The Tatras, an enormous mountain range between Slovakia and Poland, encompass many curious points. In Mazik's book, previously unpublished archive materials from early 20th century are supplemented with the author's own anecdotes. He unravels the stories of mountain pioneers, the first conquerors of summits, and brave trailblazers. He also tells us about prominent taternicy (Tatranists) and the Tatra Volunteer Search and Rescue team. There are the black and white reminiscences of the first excursions to the dazzling lake Morskie Oko (Eye of the Sea) and the very first dives into its depths. One would search in vain for still frames of this pre-tourist Tatra reality in any of the widely available photo albums or guides. Today, it's hard to imagine the peak of the Giewont mountain massif without the metal construction of a cross at the summit. Created in the Górnicki factory in Kraków, the cross was mounted at the top of the 1895-metre massif on August 19th, 1901. The endeavour took six days – after getting transported from Kraków by railway, elements of the cross were dragged into the Piekło in Kondratowa Valley by horses, and then carried onto the summit on the backs of volunteers from Zakopane. There are more stories like this in the Tatra Atlantis. 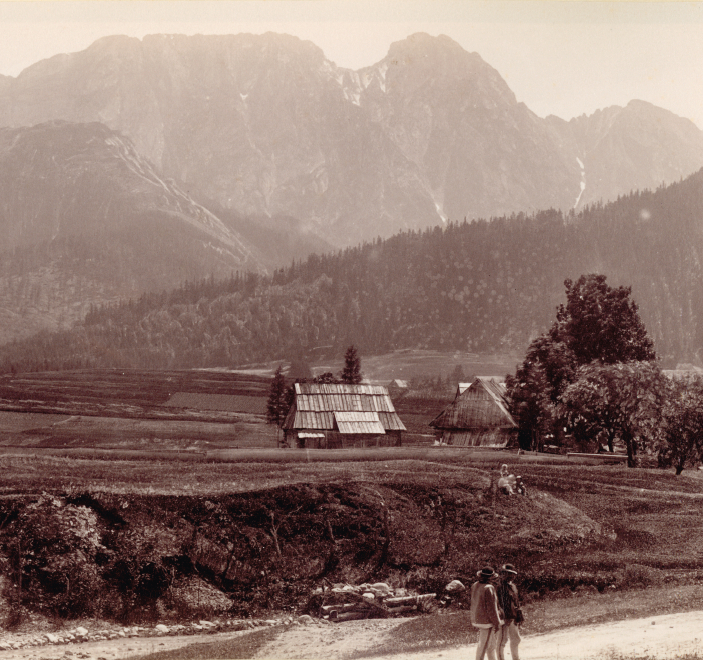 The Giewont mountain massif photographed from the Skibówki in the 19th century. At the time, the view onto the Tatras was not limited by dense building or high tree tops, and the trail onto the peak of the Giewont led through the Kirków Żleb. photo: Awit Szubert. For the last few years, I had the possibility of glancing through photographs at the Tatra Museum. I flipped through about a hundred thousand. I have lived my whole life in the Tatras, so I thought I knew this space like the back of my hand. And yet, I found numerous images which describe the Tatras and Zakopane, and I had no idea where they were taken. Even though the venues are famous, the look completely different now to how they used to be years ago. The idea was that the most important thing would not be a beautiful postcard view, but the sense of surprise that accompanies a first glance at the image. 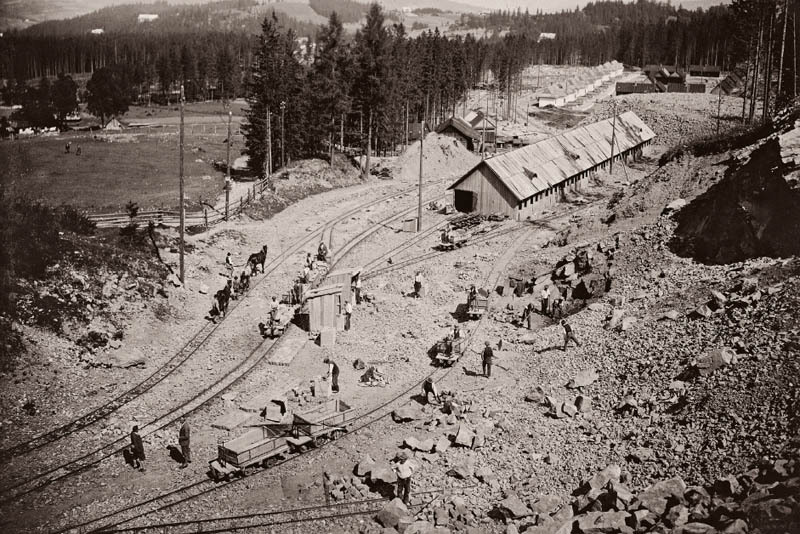 I write about what is intriguing and what disturbs (…) The album includes photographs of work in the Krokwie quarry. Nowadays it's unthinkable. There are also pastures in areas which are now strict nature reserves, where no man can even lay a foot. And only some 50, 60 years ago, whole herds of sheep would graze there. Mazik's view onto the old Tatras also encompasses a military defensive line and a sports arena, as well as highlanders' shelters, of which now not a trace remains. His Tatras include pioneer mountain rescue teams, cave explorers, and the realm of avalanches. 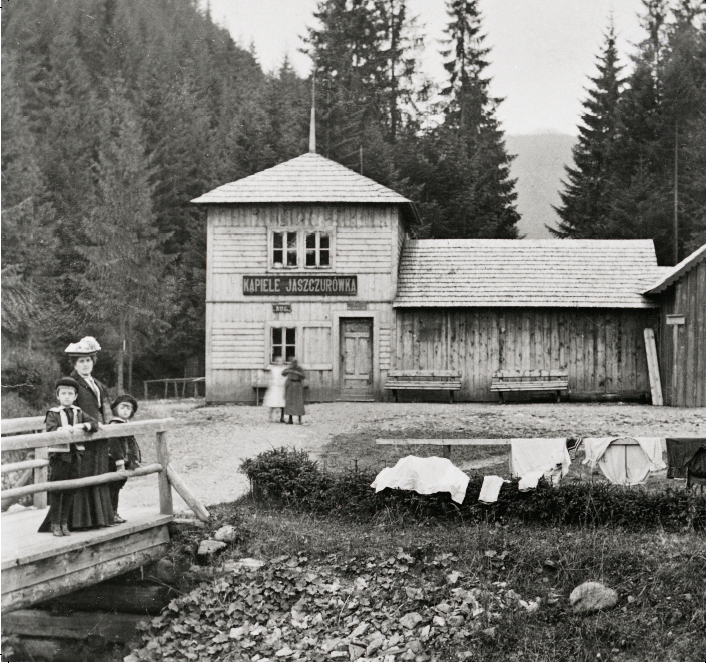 Sunbed area on Kasprowy Wierch mountain in early 20th century. Snow, skis, a sunbed and a beer in the April sun. This fashion won't be back, but back in the day not everything was regulated with laws and rules. According to Mazik, the Tatras and Zakopane are a lost territory. 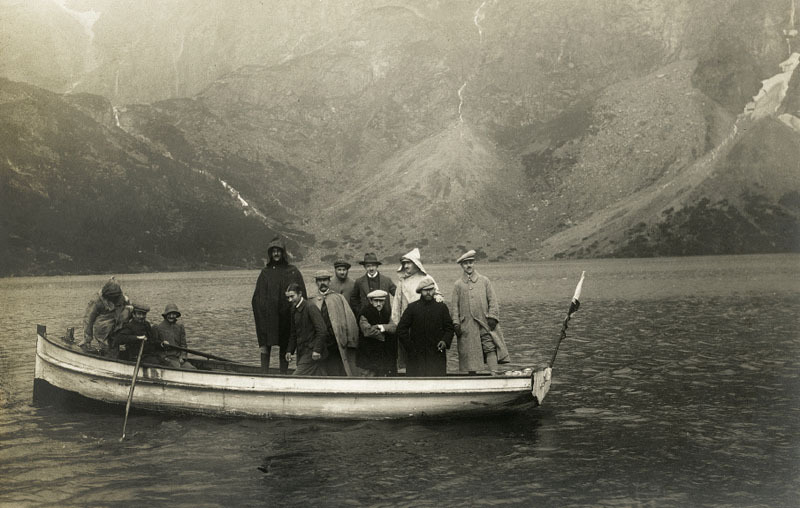 More than 200 photographs from the Tatra National Park archives allow us to rediscover this Atlantis anew. Today, the historic discoverers of caves seem to be like the heros of American Western films. 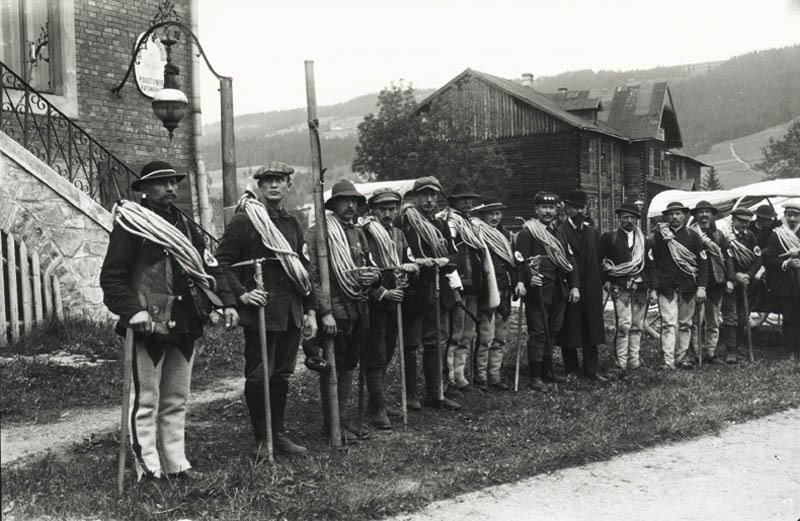 The image below presents interwar spelaeology at its origins: miners' lamps, uniforms held up with rope, and pickaxes. The Tatra Atlantis is abundant with posed photographs from the 19th century. Ladies in hats and miners in frock coats gaze into the lens from among the scenery of rocks and caves. 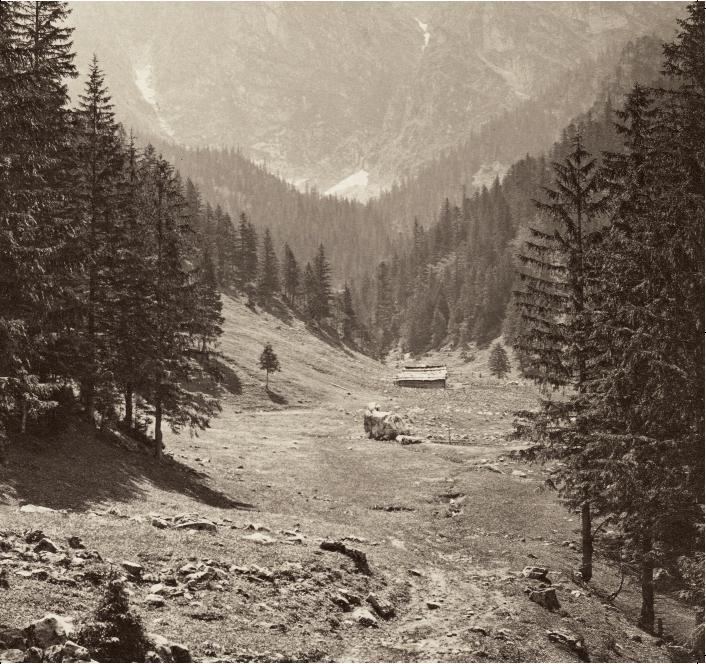 And this below is 1936 on the Kasprowy Wierch mountain. This climb most likely took place for advertising purposes. The cable car is only 5 months old, and there are no crowds on the summit, which had been a tourist destination for a long time. 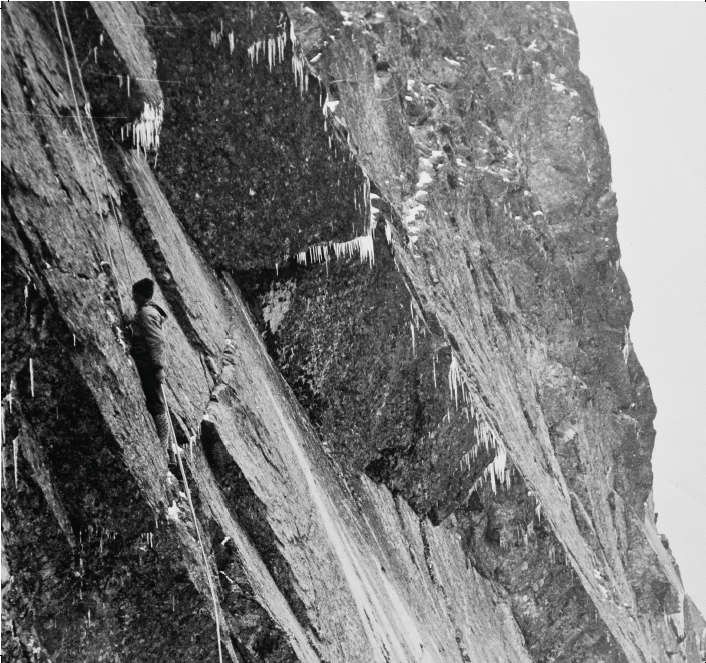 The very first tourist climbs are dated for 1890. 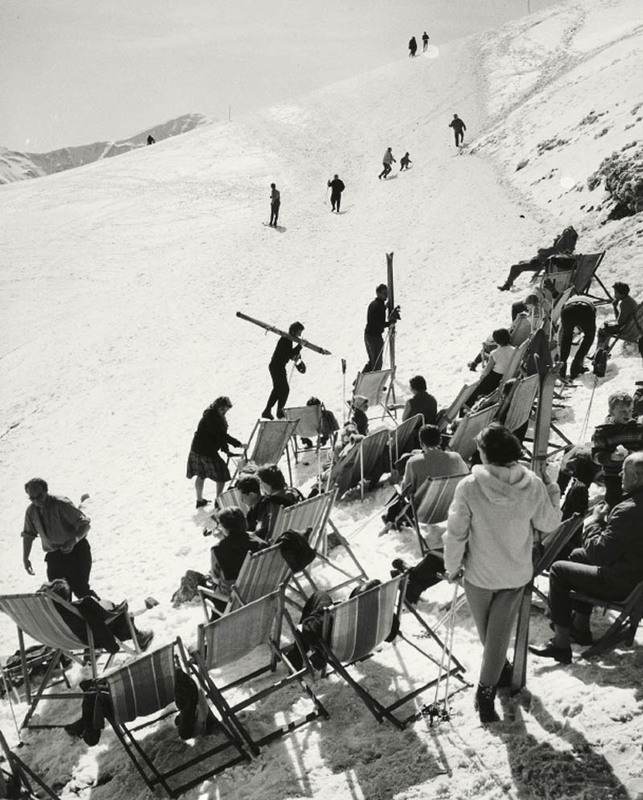 Around 1910, the peak also became popular among skiers. Today, it is the most frequently visited summit of all the Tatra range mountains, with its hiking tracks and ski lifts. 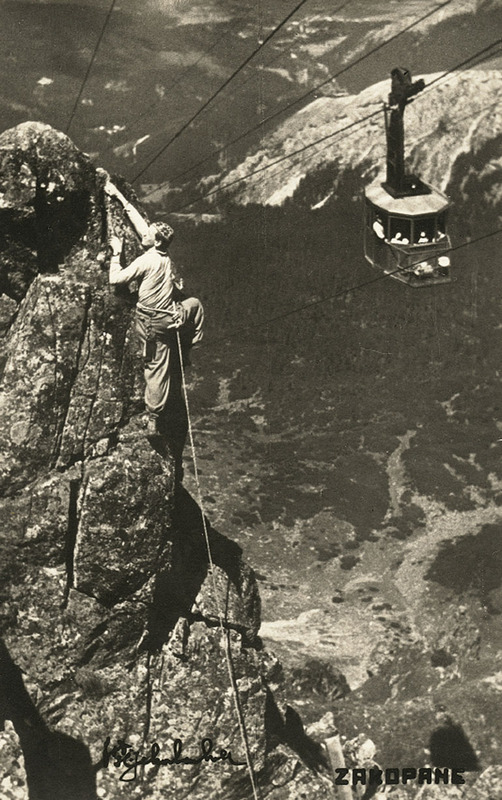 The image below presents the first attempt at crossing the Tatra ridge in 1934, right at the point that presents the greatest technical difficulty. Paweł Fogel, Exiting through the eastern Żelazne Wrota (Iron Gate) setoff, 1934. The mountain rescue team forms an immensely important part of the Tatra landscape. Mazik succeeded in gathering images of its less known history. There are the schools of rescuers from the early 20th century, as well as troubles with starting a helicopter which got stuck in the snow. There are captions of those rescued from an avalanche, and the very first alpinist cart from the mid 20th century. But, as Mazik reminds us, the most difficult rescue actions remain undocumented – it's hard to reach for a camera under water and inside caves. 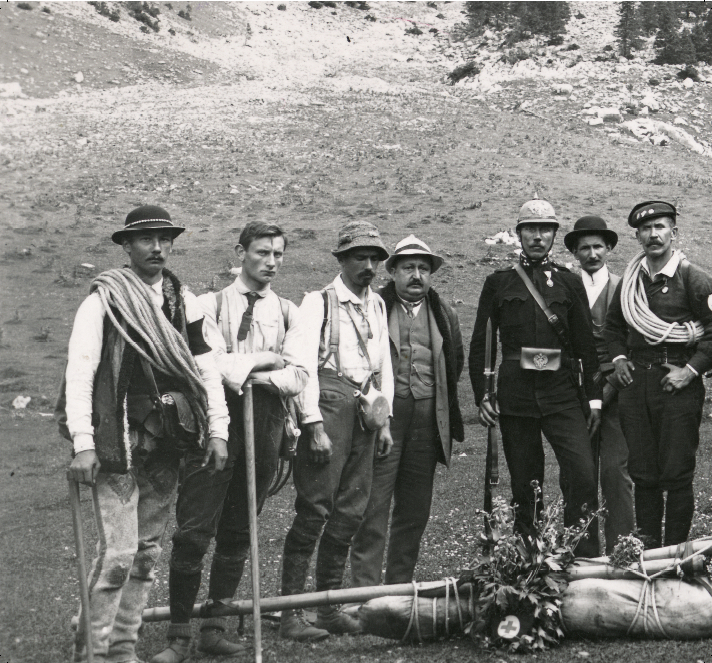 TOPR (Tatra Volunteer Search and Rescue team), photo: author unknown, 1910. The above image captures TOPR before its first birthday. The ropes, first-aid kits and bamboo stretcher were taken out for the sake of the shot. Mieczysław Karłowicz is also absent in the caption – the composer, musician and Tatra climber had died at the age of 32 by the Mały Kościelec, after he was swept away by an avalanche on the 8th of February, 1909. His tragic death quickened the establishing of the TOPR organisation, which was registered in Lviv on October 29th, 1909. The photograph was taken in front of the Tatra Station, which hosted the headquarters of TOPR at the time. The TOPR team and Austrian authorities during the carrying down of the corpse of a tourist woman. Mariusz Zaruski stands in the general's pose. Zaruski was a legend of the Tatras, who conquered 20 summits in winter, and who crossed more than a dozen ridges, passes and tourist tracks. He also climbed mountains on skis, and made history as an amateur spelaeologist and the constructor of a brake for skis and ski poles. He was the organiser and leader of the rescue team. The shelters served interwar skiers. They protected them from the elements and were also a refuge during a period of political turmoil. One of the now perished shelters on Przysłop Miętusi (which burned down in 1986) served as a refuge for Władysław Bartoszewski (a Polish politician, social activist, journalist, writer, historian, former Auschwitz concentration camp prisoner, and a World War II Resistance fighter), among others. 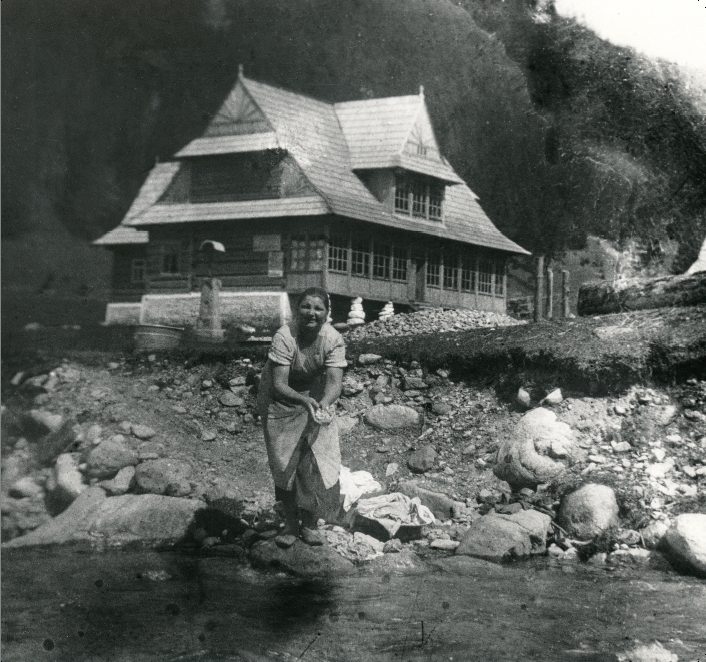 A majority of the well-known Tatra shelters, cafes, restaurants, inns and bathing spots was ruined during the Second World War. The only proof of their existence is photographs. 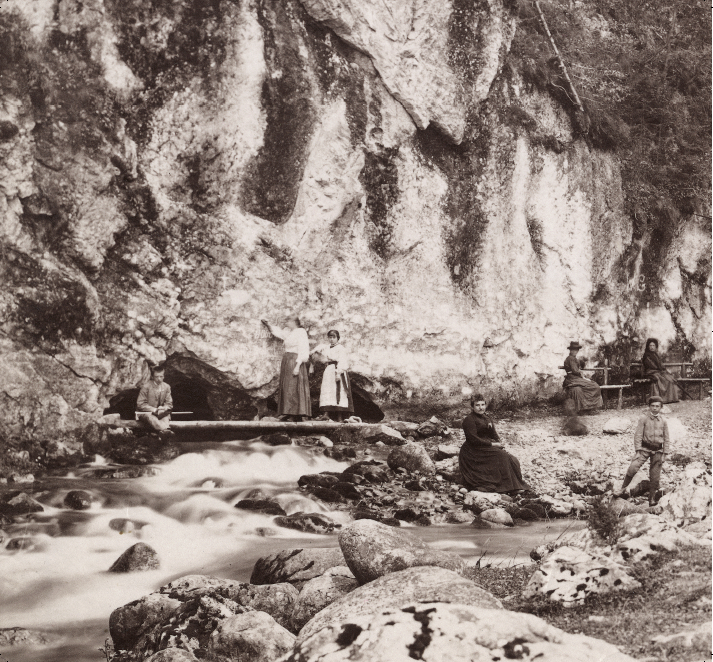 Just like the image below – it's a memory of the oldest bathing area in Jaszczurówka by the Olczyska Valley. Its owner, Adam Uznański, was an investor, who also built a bowling club and a hotel by the bathing area. The famous shelter on the Huciska meadows in Chochołowska Valley was considered one of the most charming spots in the Tatras. Unfortunately, it only lasted some 9 years. In 1945, it was burned down by German soldiers. Today, the former site of the shelter can be located thanks to a remaining iron cross. Strążyska Valley is captured below in a photograph from 1890. The view is onto Giewont (without a cross), and the road leads to a derelict shack in the middle of the valley. Awit Szubert, Strążyska Valley, 1890. If you were heading into town, then only on a…bobsleigh. 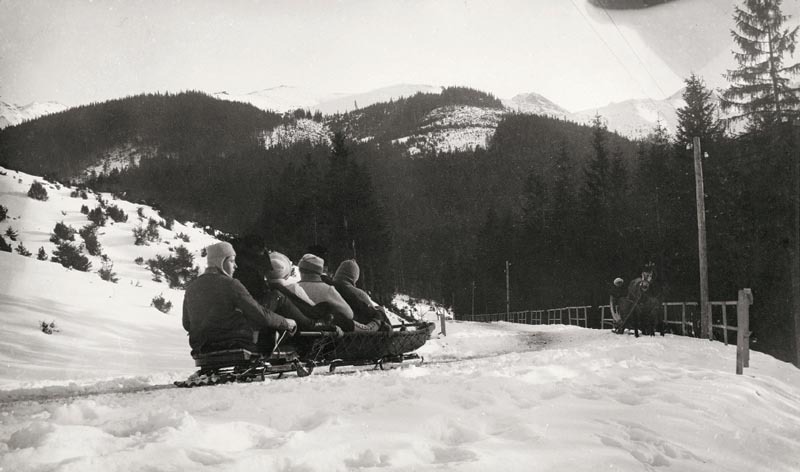 This unusual means of transport, much faster than a traditional sleigh, was used in Zakopane from the first half of the 20th century. There was even a special track from Kalatówki which led to Murowanica through a series of spirals. It was never rebuilt after World War II. The photograph captures the second curve at Cyrhla, below the Siedem Kotów (Seven Cats). 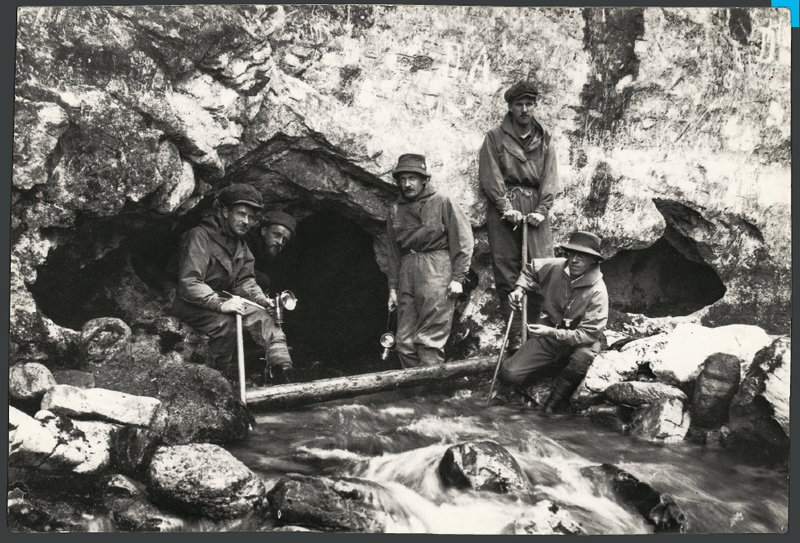 All images come from the Tatra National Park archives.